Do you work for SketchUp? "Tool for designing and planning spaces and objects in 3D (dimensions)"
I like the range of colors offered by the program to paint objects designed in three dimensions. It is a very easy to use software that has multiple work tools that facilitate the design of the objects being a saving in time of work time, because it does not merit studying much software to be able to handle it without any difficulty. I like it because it is recognized among professionals, and on the web there are many documents that facilitate the design of objects. I really like the diversity of tools and the ability to design objects with faclidad allowing to perform a rendering referred to the process of generating image or video. other advantages is that it is compatible with autocad the most recognized program for its quality and professional level. I do not like that you can only work with small areas, therefore the work of large structures or infrastructures is very cumbersome. another of the program's weaknesses is that it depends on a computer with a powerful memory card to take full advantage of the tools and potentials it offers. because otherwise the design process of the objects is quite slow and difficult to work. SketchUp for the design of objects for the purpose of studies, research, pre-liminal projects that has a very friendly, colorful, colorful view. It is a program that can learn without many hours dedicated men. my problem is that I did not have a program to quickly design an object that had a creative, innovative, and colorful view to present the blueprints. thanks to SketchUp I managed to design very nice objects, quickly, creatively, technically, and innovatively. I have achieved professional success and recognition of my colleagues for the presentation of research, reports, and studies where I have used SketchUp. other of the benefits is because of the use of sketchup I have saved working time because the designs I can do it quickly, and also make changes very easily. "Out-of-the-box intuitive modeller that just gets better and better!" If being forced to nit-pick, the inability to rotate the view cleanly in 2D plan view can be irksome. In fairness though, this is a by-product of having a single-window environment. Will add it to the wish list! Text editing isn't the best (shocker - it's a 3D modelling program! ), but the capabilities of LayOut are ever improving. Have not had the opportunity to experiment much with the latest release, but by all accounts the improvements across the board are the most significant for a while. Get the free trial of Pro downloaded. Even after this expires, you have a copy of SketchUp Make to run for free on your machine with the majority of the features you need still available! Site modelling, with help from several third-party plugins that really take the capabilities of the software to the next level. I have worked using e-book 'The SketchUp Workflow for Architecture' in the past and am currently working through "SketchUp & Layout for Architecture". This is with a view to forming a solid workflow for turning around sketch schemes quickly and creating the basis for generating working drawings (in Vectorworks). Includes the creating of a component library, as well as templates for specific stages of work. Easy to use 3d modeling software that's being ruined by Trimble. I paid for sketchup pro which was advertised with a set of features. One feature was the "add location" tool which allows you to geolocate and pull in google earth imagery and terrain data. I just discovered that Trimble disabled this feature in the version I bought and the only way I can get the feature back is to pay them more money! This is robbery. Plain and simple. If you bought a car with navigation and then a year later you go to use the nav and it says "we're sorry, you can't use this anymore. Please contact us". When you contact the dealer they tell you that you have to pay more money to use the nav. If a car manufacturer did that there would be a class action lawsuit in no time flat. They offer ZERO solutions for this problem other than paying them more money which is NOT going to happen. They should have offered people who had the older version a free one time upgrade to the version that has that feature. Instead, their response is, sorry, those features don't work now. Complete and utter bs. Honestly, don't give them your money. They're greedy and evil. One of the business problems I used to solve when the tool I bought actually worked the way it was sold to me as, was I could pull in geo data for the location of the project I'm working on. As of now, they disabled my ability to solve that problem and actually created more problems for my business. Thanks trimble you greedy A$$ hats. I work at a small family owned furniture store as a designer. We do not have a budget to afford design software so I find Sketch Up to be hugely beneficial with helping my clients to visualize space planning. You can create templates for designs that you use often and the entire program is easy to work. I suggest watching a few tutorials to become familiar with the program specifics but after that it's very easy. It can be a bit time consuming to create very detailed drawings. For the most part I just make very simple drawings that help my clients to visualize the space that furniture will take up and what sort of pathways will be left in the room. Take the time to make and save templates of designs that you use on a regular basis. It will save you tons of time in the long run. The biggest benefit is that I have access to design software that is free. This is hugely helpful for a small business. It has been a wonderful aid as I work with clients who have a hard time visualizing what their space will look like with new furniture. "SketchUp: Diseño de espacios y objetos en 3D"
Es un software super amigable y muy sencillo de utilizar por lo cual se ahorran muchas horas hombres debido a la facilidad de uso del mismo, se encuentra gran información al respecto por ser de google y posee un excelente soporte técnico. Es excelente para representar la realidad de forma muy cercana. La herramienta para renderizar referida al proceso de generar una imagen o vídeo mediante el calculo de iluminación CGI (Composición Gráfica de Imagen) partiendo de un modelo en 3D es una de sus mayores ventajas ya que permite generar un espacio 3D ideal. La gran ventaja de todo es que es compatible con muchos programas CAD y de diseño en 3D. Una de las mayores desventajas es que las áreas que se pueden trabajar son de pequeñas dimensiones, por otra parte, se debe poseer una computadora con una potente tarjeta de memoria para que el uso del software sea factible y eficiente, ya que la mayoria de las veces el procesamiento es un poco lento. Se recomienda SketchUp para principiantes que deseen incursionar en el mundo del diseño en 3D, por su falicilidad de uso. Recreación de espacios lo mas cercano a la realidad en 3D. "Excelente programa para modelado 3D"
Fácil de usar. Asequible. Las nuevas actualizaciones generalmente son mejoras significativas, sketchUp Warehouse también es una increíble extensión que le permite utilizar archivos pre construidos de otros usuarios, acelerando aún más el proceso de diseño. Lo único que me ha disgustado desde que utilizo el programa, es que sin son archivos que les colocas diferentes materialidades para realizar un renders los archivos se vuelven muy pesados y el programa se tarda bastante en realizarlos. SketchUp es el software de modelado 3D más fácil de usar que he usado y realmente ha agregado algunas características excelentes a lo largo de los años. Es fácil ponerse en marcha de inmediato, aunque tomarse un tiempo para comprender cómo va a valer la pena trabajar con capas y componentes, especialmente si ha utilizado capas en otros paquetes de software: no funcionan de la misma manera aquí. Recomiendo SketchUp para una visualización y modelado rápido. Los modelos más grandes y detallados pueden resultar engorrosos para trabajar. SketchUp se utiliza para transmitir rápidamente una idea 3D a los clientes. Ademas contiene excelentes filtros de renderizado que pueden usar en diferentes proyectos, ya que proporcionar una buena base para la prueba de imágenes conceptuales. "An excellent go-to for quick mock ups"
SketchUP (both the free and paid versions) are great for planning out a 3D space quickly, without needing much 3D design knowledge. The SketchUp Warehouse is also an amazing extension that allows you to use pre-built assets from other users, speeding up the design process even more. The default interface is not the most user friendly and most useful tools are hidden away in more advanced options. It's also not the most professional looking software and does not allow you to easily export any 3D objects for use in other 3D apps. However it should be noted that SketchUp should be used as a starting point to a design and not for the final result. You can quickly piece things together in a 3D space to get an understanding of how you want something to look, but there are many far superior 3D modeling and showcasing apps out there for final products. Look at and experiment with the advanced tools rather than sticking to the basic starting set. Also be sure to get the Warehouse extension as it can greatly speed up your work flow. SketchUp is best used to quickly convey a 3D idea to others. The ability to share and use others models from the Warehouse can also be useful when working alongside others, or for revisiting older assets to use at a later date. There are also some great quick render filters you can use across different angles that can provide a nice base for proof of concept images. "Simple, direct, and perfect for beginners"
Simple interface, easy to operate. It was my first tool to learn when I was entered architecture school. Deeply appreciate that Sketchup being a vastly open-sourced software. There're a lot of possibilities in 3D warehouse and extensions. Sketchup is very good for massing, but the presentation quality of image/rendered exported is a bit lacking. They don't seem to be very crisp and clean. It depends on your expectations on graphic. I would call it as a stable for early design development tool, but I wouldn't use it for presentation quality stage. V-ray for sketch seems to be a different from Rhino and 3D Max...not sure it's because of missing features or other reasons. It's very fast and quick if you want to test out something. The interface is very intuitive and doesn't require much training to learn how to use it. It's quite different from other 3D modelling software.It's a software that everyone knows how to use. "A great way to start in 3D or for people who just need to dip into 3D"
SketchUp was apparently designed for users who are not experienced in 3D; it has a familiar a 'Photoshop-tools-palette' type interface (not millions of things on the screen like pro 3D apps) and tools that seem to mimic the way you think about 3D - the push/pull tool that lets you extrude objects is so logical and easy to use. There is a massive online community and hundreds of tutorial videos and tons of content available to help you make your models. Overall though, it's the simple approach to creating models that I love. Even though the concept of creating models is intrinsically complex, the tools and interface in SketchUp give inexperienced users a great way to get into 3D. Really, for a free application that can do so much, I don't dislike anything. We need to create 3D models in-house for software testing; using external 3D skills resources would be too expensive. SketchUp gives us the ability to quickly create something perfectly suitable without much effort, and zero cost. "That's the best beginner CAD application"
Very easy to use from the start. You can start using it straight away, start with the pencil and you are ready to go. Quick guide that pops out helps to learn this tool as you go. Using this tool is way easy for beginners than any other tool I know. Very intuitive indeed. I'm using it anytime I have to do a small or big project. When I'm not sure about how long to cut something, how much material I need, I go into it and design my product in SketchUp firs. I have all the tools to get measurements, areas, angles, etc. Then implementing it in real live is much easier and straight-forward. None. I can not tell anything bad about this product, even the smallest thing. Design a product before production, change it as much as you like, and when ready go to production. It is much easier to change a digital product than a real product. "A simplified 3D experience in a intuitive platform"
Not only this software is at a very low cost compared to most 3D softwares, it is the most fun and easy one. It has fast rendering performances for simple and even complex designs. Once you get the hang of it (a basic 3D knowledge is required) you can push it to the limits. I love the warehouse for sharing and getting models from all over the world by newbies and professionals. In the free 2017 version, the warehouse is gone. If you want to keep the access to the warehouse, you have to download the 2015 version. Also, you should consider having your computer geared up for best performances or rendering will lack frequently, especially when using the shadow effects on complex designs. This software is easy to use and should be considered as a great solution to all your CAD projects. I use the Sketchup for our office new spaces and remodeling. It gives me the opportunity to create a real size mockup before the real architects do the final plans. By doing so, we save time and money by reducing the cost charges from a professional firm. "Requires plug-ins to work fully"
It allows users to design quickly and encourages to think fast. It can import google maps images with the altitude data which is very helpful for big scale projects. Sun direction and shadow tools are good for architectural 3D models. Importing 3D models developed with other softwares are usually problematic.Secondly, it is important to find the specific plug-in for your model amongst abundant plug-in recourses which can take consume time to try and see which plug in you are looking for. Customers want to see 3D images and animations for the proposals. Sometimes a simple fast animation made in Sketch up is very useful. Scenes are used for this type of quick animation. "Best Interactive Modeling Program for Quick Client Presentations"
Sketchup makes it easy for our architecture practice to quickly demonstrate to clients the potential their project has by seeing it in 3D. It is easy to use and powerful enough to handle most applications. We really don't have many dislikes, but we would like to see a broader inventory of materials built into the program, which would eliminate the need to get them through another program. Quick 3D presentations and real time manipulation of the project. Allows us to change based on immediate client input. "Simple and fast way to produce 3-d modeling "
With SketchUp, you can generate 3-d modeling in the fastest and simplest way. Interface is pretty straightforward and the program itself is very easy to learn compared to other 3-d modeling programs. I personally learnt it in a few hours. If you want simple and fast 3-D modeling, I would recommend SketchUp. Because our business deals with architectural design, it is beneficial for us to see several different types of prototypes and options in the fastest and the most efficient way, which SketchUp definitely is suitable for. "So fun to use (once you get past the learning curve)"
Once you get the hang of it, SketchUp is so fun for drawing just about any kind of 3D object you can imagine. I love using it to draw rooms or houses for the purpose of interior design. Their 3D object library is also a huge help, saving time from having to draw all kinds of furniture, appliances, doors, wall decor, etc! Doesn't play well with others - importing other file types it "claims" to be compatible with doesn't always work or save time. I often have to redraw the file I imported using SketchUp's drawing tools. SketchUp is a cool product for quick design renderings worthy of use on sales presentations! I use this all the time to help clients see a more life-like view of their project versus having to imagine a 2D black and white floorplan. The best thing I like about sketch up that other cad programs don't do is that it's not too specific. This may seem as a bad thing at first but what I mean is that, sometimes, you're just looking for a quick and easy sketch and sketch allows you to do that. You can draw your design prototypes and then finalize them else where if you want more details but this a great software for painting the picture. One thing I don't appreciate too much about sketch up is it's not as advanced as solid works. For me personally, I use both solid works and sketch up. I use sketch up when I need to show a co-worker my design super fast just so that they understand the basics. And then, I would use another cad platform to add the specific details. I wish I could do both steps in sketchUp. I would maybe recommend for sketchUp to add more features that allow precision. What I mean is that sketchUp is an excellent tool for painting a picture of a design or understand the proof of concept behind it. When it comes to details, it's lacking tools compared to it's competition like solid works etc. Multiple people decide to use advanced cad softwares instead because sketchUp doesn't have these extra features that allow a design to be drawn precisely and accurately. SketchUp allows us to draw new designs for our product. Quick sketches help the team be on the same page. Ease of use, online instruction and the development of plugins make this THE 3d software I can't live without. The limited file export options for other software or applications. Fastest growing support from third party developers is making SketchUp competitive with other CAD soft. Ease of use, community support and software updates continue to bring new functionality that makes this software a key component in building fast, accurately and efficiently for multiple applications such as rendering, 3d printing, BIM and VR. Whether for product design, architectural presentation or creative ideas, SketchUp is bringing concepts to reality. Capable of animation (with plugins), it delivers to clients perspectives, solutions and views of their designs in the virtual before the investment of building their projects in the real world. From concept to finished design, SketchUp serves me to help bring ideas to reality. 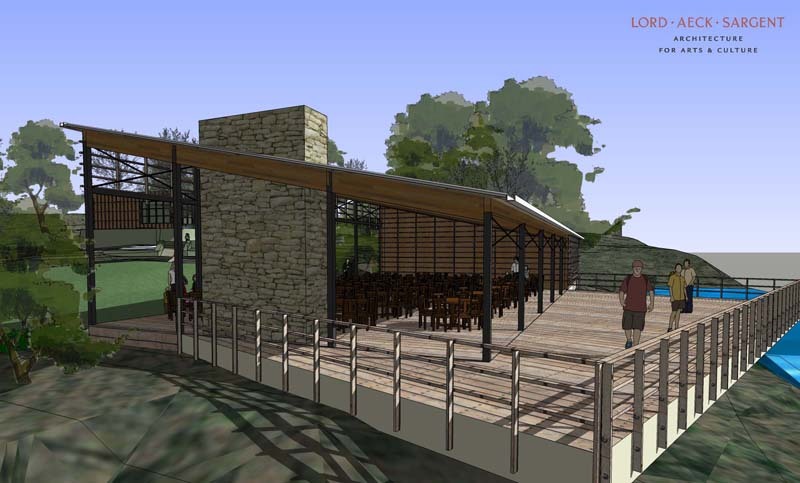 "Have used Sketchup as a quick modeling solution for the AEC industry for over 10 years." That it is free. I can do so much without having to upgrade to the Pro version. Its quick, easy to use and if modeled correctly, easy to edit. I use it to present my other 3d models as they styles really help create great marketing images of our 3D models. It can be a little "organic" when modeling. I found the learning curve a bit steep to be able to create good quality models. 1. Buy the Pro version. Now that the modeling free version is only online, its horrible to use. The extra functions of importing/exporting other files makes all the difference for me. 2. When modeling, make groups... lots of groups. It will make editing your model a lot easier! 3D logistics modeling for General Contractor proposals. I can easily communicate our logistics plans in 3D and it is much easier for our potential owner to understand our proposal. I love how easy SketchUp is to find, learn, and use. It's a great tool for 3D modeling beginners to get an idea of how to push and pull objects, faces, and manipulate images in a 3D environment easily. I hate how you have to find and download plug-ins for this software in order to get the most out of it. On top of that, it's not always the easiest to figure out which plug-in is right for you, and the application you're trying to achieve. There's a lot out there to play around with, not a whole lot of direction. Quick sketching spaces and dropping the furniture in to give myself a better idea of how the room will look. I also like the ability to import pdf's and DWG files into the program so I can build off of them to create properly scaled models really easily. Drop in an elevation, push and pull the face, then rotate up and attach to the other elevation; easy!! "Great, Affordable, Easy to Use Modeling Software"
I love how creative you can get with this software. Basically, if you can dream it, you can build it here. If you're trying to streamline the process, you can also choose from millions of different pre-made models from their warehouse. It's also fairly easy to learn and there's tons of online resources if you get stuck. The program sometimes freezes when file sizes get too big. There are some glitches but I can usually google the problem I"m having and figure it out myself. Get the free version, or use a free trial and play around with it. It just takes time and practice to master the program. There are tons of videos and online resources that you can use to learn and help yourself! I build my clients rooms in Sketchup to show them their project options. This is especially helpful to visualize the space. My clients love seeing their spaces' true potential before undergoing renovations. "3D as easy as it gets"
Sketchup gives you a pretty easy way to design and manipulate 3D objects. 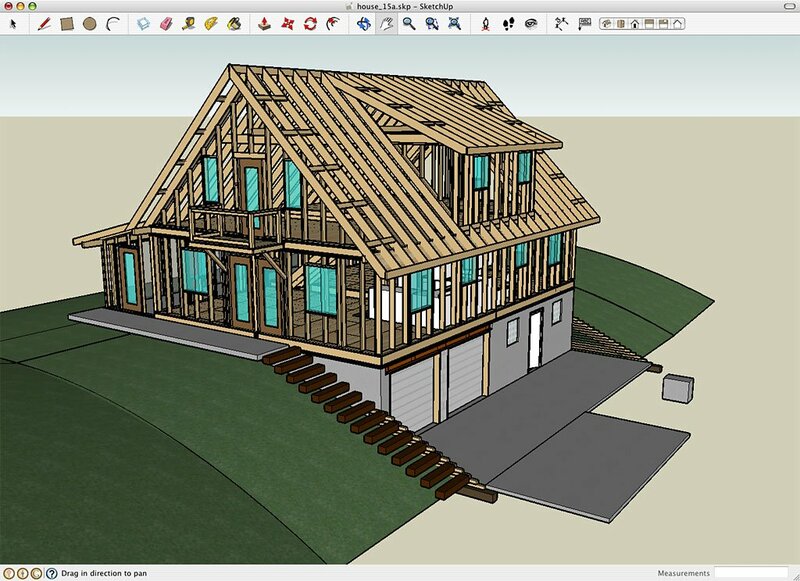 With a little practice and learning, you can be a 3D designer with Sketchup. There is a lot of support and a ton of plug-ins which can greatly increase the quality and functionality of your 3D designs. There is also a great warehouse of user-submitted pieces which are free and easy to add to your projects. There should be a better rendering engine built in. It requires a 3rd party plugin to get realistic shadowing and the like. Try out the trial of Sketchup before purchasing. We 3D model products and entire stores with Sketchup. It gives the client a good idea of what the concept will look like without having to make an actual prototype. Simplicity and Speed. The program starts up quickly and developing ideas is very fluid. Unstable on the Macintosh. The software tends to crash on closing a file. Start with the basic program prior to adding a bunch of plugins. The extensions created by other users and companies make this a very successful program. There is likely a plug-in for any task you are trying to accomplish. The extensions though can be overwhelming. Learn how to manipulate using the basic program and add to your plugin set as you advance. I design furniture and wall systems for a major airline. I am able to develop concepts and insert into real environments without having to use multiple software packages or lengthy design time. "One of the best modeling systems"
I liked how they supported their masterpiece. To the people who are looking for better modeling applications, this one is worth to try. You'll not regret trying this application for this app can give almost everything you ever imagined. There is a pro version of this though, but for me, I have made a model of my project building with just this application. Amazing eh?! Try it, you won't regret it. With this I am able to create every detail of every single function rooms of my project company. Well I started so hard, but with time I am able to be legible enough to understand each and every function of the application. Thanks to their overwhelming support, from their websites, google, and youtube. You can look up several tutorials to get you started. Well some schools offer lessons as well better take some classes to learn this stuff! You'll be amazed! Everything you imagine is possible. Think in 3D, Draw in 3D it is! Sketch Up has been a wonderful platform to project architectural and interior design ideas in. It is so easy to use and easy to learn. If there is a tool or something that I don't know how to do there is always a free tutorial you are able to find online. I do multiple projects in a week and need a program where you can import cad files or jpeg floorplans, quickly select walls and build up. This is a great because I can use quick shots of the different views in my presentations. Sometimes the lines get "sticky", trying to push and pull an item sometimes results in the object being distorted. I would recommend this program, especially for freelance interior designers or small companies (even large). It is compatible with many rendering software and you can create almost realistic renderings from the model. In school we heavily focused on programs such as Revit, AutoCad 3D. They are very expensive programs and the learning curve is pretty steep. At the last semester they introduced SketchUp into the curriculum as a 10 week course since so many smaller to medium sized companies were transitioning to SketchUp for quicker turn around. Best is that I`ve assimilated it in a couple of weeks for basic use. The most are top resources that it`s needed when you load more objects in it. I`m using an I7 with 8 GB RAM and it`s weird when you need to wait a long time for loading big projects. Also the export jpeg 2D is not the best! Main we designing Festival`s Sites. And the benefits are pretty clear you can i advance show a planned Festival with distances and all that is needed for future use of technical teams! "Very quick - Great for fast presentations!" It's definitely the easiest program to learn for 3D modeling and it's been really helpful to us when we're asked to show a concept really quickly. I really love that everything is so self explanatory from the tool icons to the settings. The quality of the rending is still really not that great and I personally have to use a plug-in to have presentable screens (but it works really great with the plug-ins I use like Podium and V-Ray!). I think it would be great if the quality of just even the lines could be improved so we don't get that "fuzzy" and ragged looking shapes when exporting. I'm also really sad that they took away the option to import an actual CAD file as that was one of my most used file when modeling in Sketchup. It works just as fine with PDF but it was really great when I could just directly use my CAD and not have to export it to another file type! Sketchup is really great if you're looking for a program to make 3D models with but you don't have the time to learn a new program and you need the finished product FAST. It's really a problem when your supervisor asks you to 3D model really fast because they don't realize how much time it takes - Sketchup really solves this problem for me. They want to see the idea fast - I can give this to them with this program! Easy to use. Affordable. The new updates are generally significant improvements, sketchUp Warehouse is also an incredible extension that allows you to use pre-built files from other users, further accelerating the design process. The only thing that has displeased me since I use the program, is that without files that you put different materialities to make a renders the files become very heavy and the program takes a long time to make them. SketchUp is used to quickly convey a 3D idea to customers. It also contains excellent rendering filters that can be used in different projects, as they provide a good basis for testing conceptual images. SketchUp is the easiest-to-use 3D modeling software I've used and has really added some great features over the years. It's easy to get up and running right away, although take some time to understand how it's going to be worth working with layers and components, especially if you've used layers in other software packages: they do not work the same way here. I recommend SketchUp for quick visualization and modeling. Larger and more detailed models can be cumbersome to work with. I like the ability of the program to allow me to design simply and quickly. Having these tools at my hands really quickly allows for me to show a client or a design associate the idea of what the project or product can be. I also like the ability for this program to be exported into files that other programs to use so that the design can be articulated further. I do not like the some of the problems with this is not being able to save forward. You always have to have the latest to have the correct file type. However you can save down, but if someone has the file and saves it in a new version, you have to upgrade or have them save down and when communication is a problem, it can take quite some time and be very frustrating. This program really helps the preliminary design of the product or project and when the client sees a 3D model of their design, the more apt they are to want to move forward and are impressed with your skills as a designer. 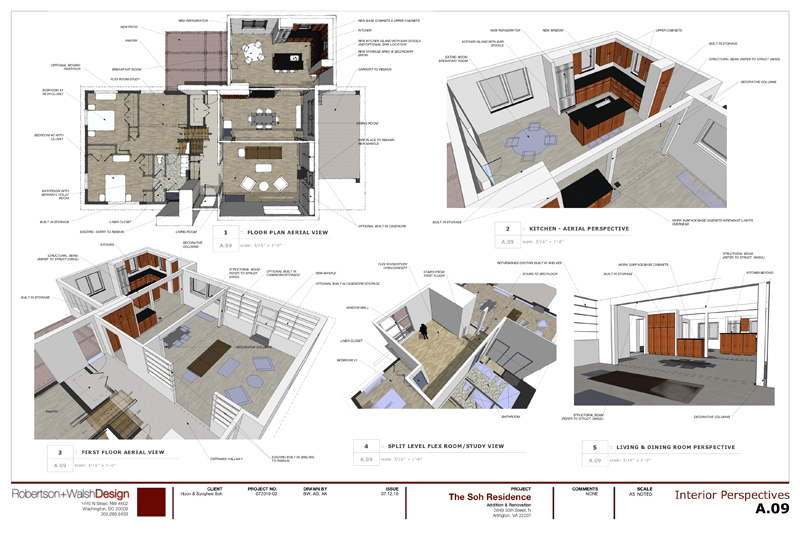 We are able to use this program to do preliminary massing and design to show clients if we are headed in the right direction before we actually put the time to put it in another program that adds more details. "More then meets the eyes"
software loads fast. unlike other 3d software sketchup allows you to truly sketch in 3d, no limitation. no setting a working plane or adding a modifier, just click and draw with easy to set and use axis control. I wish 3ds max had a sketchup plugin. smart and easy component system allows you to replicate building elements across the project and keep everything consistent without making you file big or complicated. it is hard to create complex and organic geometry. sketchup is best at orthogonal shapes. below average memory management, models become heavy and hard to manipulate fast. basic components are low poly and not good for professional presentation. no built in render engine, not even a basic one. no built in external reference system. everything loaded on the same file makes it heavy. THAT SAID - you can still do allot with add ins and plug ins, often free or cheap plugins are easy to add and allow you to do almost anything any other software can do. both on organic shapes and external models. if your first to 3d modeling this is a good place to start. no other software is easier and faster to learn and start working on. if you're creating mainly contemporary architectural models sketchup is faster then any thing else on the market. its a great tool for initiail design before going into drawing cad using complicated software, start with sketching your idea, fast and easy in 3d. easy and fast to make basic presentations and some size calculations. "Excellent tool to quickly start modeling." The shear simplicity is probably it's best draw to users. It was one of my first pieces of software to model in 3D and continues to evolve into a more and more powerful program. The ability to quickly make boxes and push-pull into 3D is very intuitive. I've helped many people who aren't familiar with modeling programs and most of them catch on very quickly. Also, the plugin community is HUGE! There are so many talented developers making extremely powerful plugins, from automatic fences, to complex curve creators, and more. Some basic tools and features have been missing or have required odd workarounds since the early days of the software. Mirroring, "sticky" points when moving, and others are constant annoyances. Also, the graphic display options are fairly limited. In order to produce "professional" looking images, you really need to export the base model into another program like Photoshop or Lumion. This is an extremely easy way to get started designing due to the low learning curve and low price. You'll inevitably start to hit some limits if you begin to use it as a full-time drafting tool, but most problems have workarounds and there's a huge support community out there with videos and tools to download to help out. We can quickly mock up ideas in Schematic Design before we even get to a CAD program, and since it has a low learning-curve, we can transition the model to others with little loss in time. "Low barrier of entry, hit useful ceiling quickly"
SketchUp is one of the first 3D modeling software packages that architects starting out learn to use- and for good reason. It's easy to pick up, linked to a useful database of community-built models, and importantly, free for the basic package. Its modeling capabilities run out very quickly once you get into more complex geometry, particularly when dealing with curves and smooth surfaces. All surfaces are faceted, and curves are not true curves but rather, segmented lines, which is fine if you want to build a disco ball but not so useful if you're creating a curved architectural feature that needs to be smooth. Do not invest heavily in this software - while it's easy to pick up and mass up ideas as a student or someone new to architecture, you will find that it runs out of usefulness very quickly. Spend that time developing skill in more sophisticated programs such as Rhino or Revit. Since we stick with more advanced modeling software in the office, SketchUp has been mostly used only for its ability to link models into Google earth in order to see buildings in their context. We do not use it for modeling. "great for quick sketchs in 3D"
the simplicity of it . just like the name of it, we use it to quickly make 3D sketches of ideas and simple ways of apply material. it is a great program to use to do quick sketches. I don't think that the program is also very easy to learn/ teach. The only downfall is that whatever detail we have in SketchUp needs to be drawn again in AutoCAD since the two are not linked. that's why REVIT seems to be the way to go nowadays. it takes care of everything in the architecture/ construction side. If its just mainly for show and for simple visuals and that is the end goal sketch up is a great and easy tool for anyone to pick up. to show the client what it might look like without doing photo-realistic views. I like the fact that SketchUp is free and easily accessible. It makes for an easily sharable resource with a low entry-level skill requirement, and a moderately high skill ceiling that rewards hard work and experimentation with results. There are very few things about SketchUp that I dislike, but one of them would have to be how the reference points have no way of being customized. I have some students with vision problems and having those reference points be so tiny is hard to see. To those who are first starting to use SketchUp, I would say that you should do your research as to what kind of CAD you will ultimately be doing. SketchUp is a great freeware application with a tremendous amount of features, but is limited in the functions it can perform like automated sculpting and distributing build features. In my organization, I use SketchUp to teach spatial awareness in addition to using it as part of my class curriculum. "Fantastic software for CAD working"
Very full featured software. There is a "online demo" that is practically a full version that most anyone can use for personal projects. Basic CAD, and architectural drawing is not that rare, but SketchUP can also be used for wood workers! It's this last use where I first learned about it. It's just wonderful to be able to bring a piece together prior to cutting anything. The personal "demo" used to be available to download and run without an internet connection - that appears to have been discontinued. I can understand why - but I wish they still had either a free local install or a reduced cost local install vs pro (which has the normal price tag of professional software). Like many such programs, it also be a little daunting to first pick up and start using. Tutorials and / or in-person help is paramount. Unless you have previous CAD experience, don't think you can just bluster your way through. Like any other professional software, set aside time and / or budget for training. Don't think you're going to pick it up over night. The extremely rare ability to draft wood crafts digitally prior to trying to cut / fabricate. This allows very professional looking "sketches" along with fail safe measures (i.e. matching corners, sizes, etc) in prototyping a piece. "A great design tool for early building design"
What makes this software perfect is the ease of use (as many of the principals at our firm can use it). The program is fairly easy to install and allows for a network license to allow flexibility. Since SketchUp Pro 2015 has rolled out, the license management for network users has been non-existent. They are working on this option but I have a very difficult time verifying that we have the maximum licenses utilized (and therefore need to buy more licenses). Compared to our big design software (Revit), I am often frustrated at how locked down SketchUp is when it comes to licensing and log files (BugSplats). SketchUp is quite useful but you might have to jump through hoops if you are trying to deploy the software and track license usage. Obviously it doesn't translate 1 for 1 if you want to bring this 3D data into Revit. Because our primary design software (Revit) is a bit tedious to utilize with the initial design of buildings, SketchUp solves this issue. The software is flexible and works well for presentations and quick design options to show clients. "I am GIS Technician and I use sketchup for work." I like that in the program you can create 3D designs to represent what you want to make as almost a blueprint and you can show them in an a real setting of what thing or place could look like. I have created several presentations of representations of buildings and space from using this program. I like that you can add an aerial and build and create a topographic map out of those features then build from there. It takes a bit of getting used too. There are keyboard shortcuts that take a little while to completely learn but after you remember them it makes the process a lot of creating smoother. Give it a try, You can build just about anything from places to buildings. In my work I try to visualize the space and make it look like an attractive place to be when other people like developers or the community sees it. With Sketch Up I can accomplish this really well. 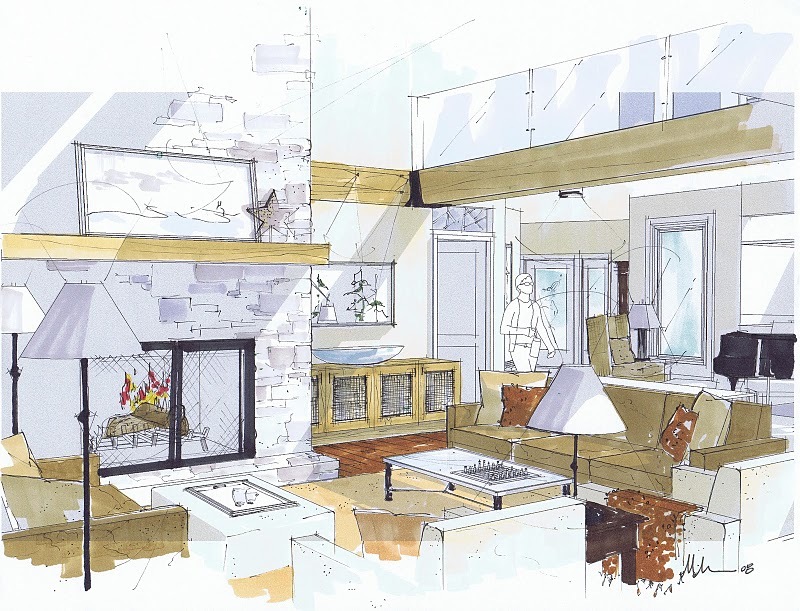 "Designing with SketchUp is a great sales tool." The ability to quickly and easily design and present to customers. I currently use SketchUp to design photo voltaic solar installation for home and business owners. Being fluent in architectural design, SketchUp allows me to visualize a design with my customers through a webinar presentation to render a layout that they approve with me no matter where I am in the world. Thinking about what I dislike, I cannot think of anything. I have been design and working within SketchUp for many years. The interface is very user friendly. I always customize the toolbar settings and find that SketchUp provides me with everything I need. I can import and export design files easily for the needs of my projects. From simple product design to very complex Engineering and Architectural design plan sets, SketchUp offers every level of needs to get there. SketchUp is not an out of the box product, you still need to know how to operate the program. As I have over 10 years of experience using SketchUp, to me it is the most simple and easy to use design program out there in comparison to AutoCAD, Revit and other CAD type products. I am solving a major problem in the United States, energy use, specifically electricity production. With a solar photo voltaic installation on businesses and homes, solar created renewable energy for the direct user and also sends electricity back to the electrical grid. Every state and electrical provider is different, but the end result is still benefiting from electricity production. I love the large catalog of presets, images, and plug-ins that are available! It is easy to use, and the personal liscense is free, so anyone can get it and learn. Lack of detail, but I really would use another program for that. The quality gets my point across easily enough. There is a learning curve, so if you know your way around GUI for design software, or have knowledge of your 3-D surroundings, you will catch on quick. It is free for the personal use, so learn it. You will not regret it. I use it for Wayfinding projects in buildings and offices, and hospitals and it is a godsend. I definately recommend it. Even if you never used 3-D software. It is fairly easy to learn, and with plug-ins and accessory catalog, it really helps. "User-Friendly, Fun To Use & Versatile "
I've been using SketchUp everyday in my line of work for over three years now. It is one of the easiest CAD programs I've used/learned as well as one with some of the best support and communities I've participated in. There are tons of models in the 3D warehouse to learn from or integrate into your own creations. It's for more than just architectural and interior design; I've even used it for animations, pattern making and film! More importantly, I'm still able to import/export files types outside of SketchUp's. It accepts dwgs, dxf. Due to the simplicity of the software, there is no easy way to create a curved line on a plane that is not standard (vertical or horizontal face). Pushing or pulling the 2D shape into the 3D world, creates a bunch of small straight segments of lines rather than maintaining the smooth curve. With SketchUp Pro, you can utilize Layout...but are not able to actually export/print out drawings to scale (you won't be able to print something and just grab your Architect's ruler) . Thus, I always have one drawn on my designs for a general idea of the size of the design. Can run on even the most basic computer. But if you want a higher-poly count when it comes to the 3D rendering, I would suggested a more powerful PC. One of the major benefits is obviously the ease of creating and rendering a model with a quick turnaround time. I am able to turn a project around in the fraction of the time it would take me in Solidworks or AutoCAD.